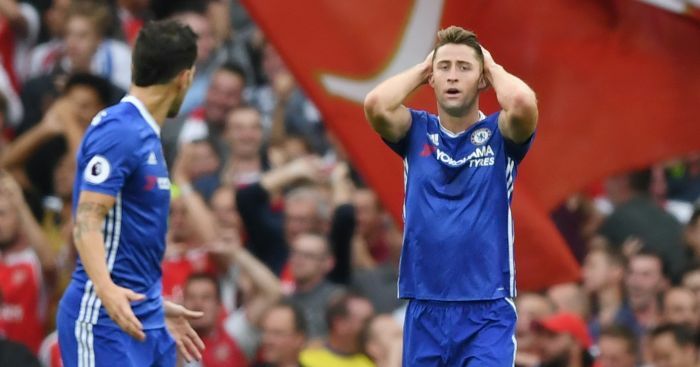 Antonio Conte has a crisis on his hands at Chelsea while Arsenal found the perfect blend at the Emirates, plus much love for Alex Iwobi. Those were the words of Antonio Conte as he prepared to get his first taste of an Arsenal v Chelsea clash in the Premier League. 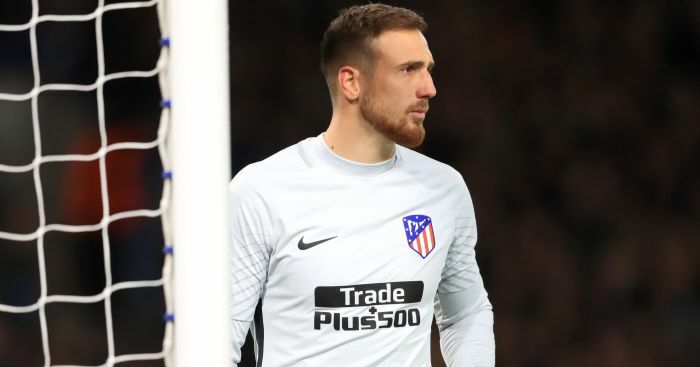 After watching his side crumble within the first 13 minutes at the Emirates, the ‘defensive situation’ has now been upgraded to a ‘defensive crisis’. John Terry has played his part in a leaky Chelsea defence – now just two clean sheets in their last 25 games in all competitions – but his absence here cannot be underestimated. Terry has captained the Blues to five of their last six wins over Arsenal and in those five victories, the Gunners did not score in any of them. Whilst most were expecting the error-prone David Luiz to become the weak link in the Chelsea defence, it has been Gary Cahill who has become the liability. There was no clear foul to spare his blushes this time as Alexis Sanchez stole the ball away from him and beautifully chipped beyond Thibaut Courtois. Cahill’s hesistancy when in possession, coupled with Branislav Ivanovic inviting pressure with his woeful distribution, is putting Chelsea at a massive disadvantage in every game. Cahill was also at fault for Arsenal’s third goal just before the break. He and Luiz may have been massively exposed to the counter attack but in a two-against-two situation with Sanchez and Ozil, there was no reason whatsoever for Cahill to follow the ball. That poor decision gave Ozil the space he needed to find the back of the net, albeit in a scruffy fashion. The imminent returns of John Terry and Kurt Zouma, plus the 55th-minute introduction of Marcos Alonso for midfielder Cesc Fabregas, gave us all a glimpse of how Conte plans to prevent any more disasters. He could try a brand-new back four or he could finally implement his favoured 3-5-2 system like he did in the second-half at the Emirates. Whatever the solution is, it surely cannot involve Cahill and Ivanovic. 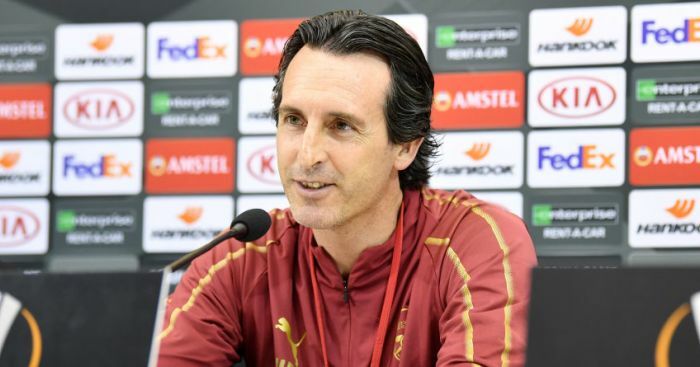 For all the glaring errors that Chelsea made, Arsenal also have to be praised for their approach to a game they have struggled in over the past few years. 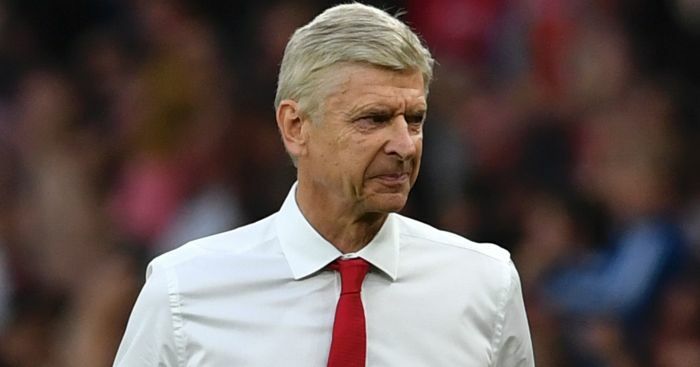 Arsene Wenger asked his players to be “cold-blooded” after seeing Per Mertesacker and Gabriel sent off in the last two clashes with Chelsea and the players got the message loud and clear. Arsenal’s quick-fire second goal was breathtakingly good. But, whilst the attacking fluidity will be the most eye-catching aspect of their display, even more impressive was their discipline. The Gunners immediately tapped into the visitors’ defensive frailties by pressing high up the pitch and combined this with some fantastic tackles to bring some promising Chelsea attacks to a shuddering halt. Laurent Koscielny embodied this no-nonsense attitude after he excelled in his personal battle with Diego Costa. He won all five of his aerial duels, made the most clearances and made the joint-most blocks, too. He was well supported by his defensive partner Shkodran Mustafi who read the game exceptionally well. With the likes of Francis Coquelin and Granit Xhaka protecting the back four, who also showed they have the pace that Chelsea lack when they do make a mistake, Arsenal have the makings of a strong platform to let the galaxy of stars further up the pitch break down defences. 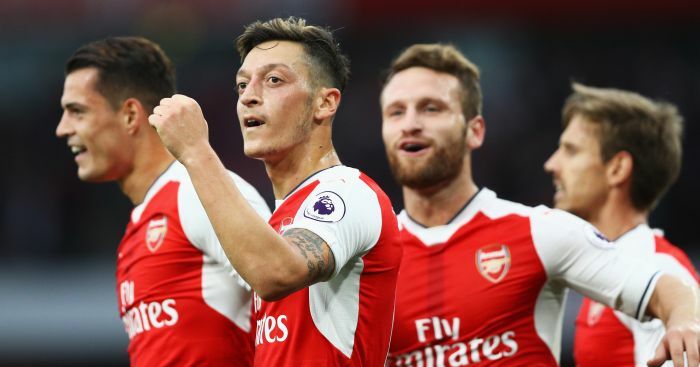 Even though Sanchez, Ozil and Theo Walcott all got on the scoresheet, it is the final piece of Arsenal’s quality quartet that continues to stand out. 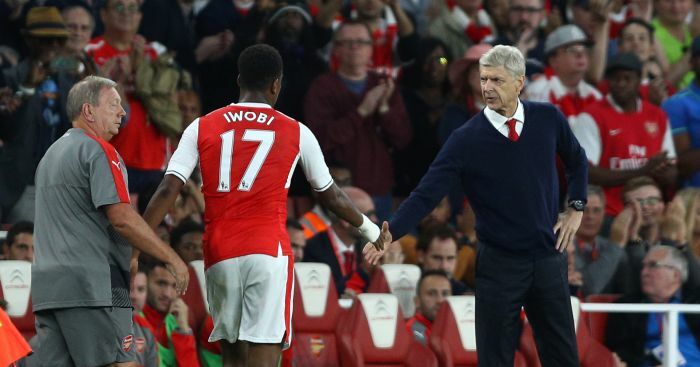 20-year-old Alex Iwobi was quite rightly named ‘Man of the Match’ and he is already becoming an instrumental figure in Arsenal’s midfield despite his young age. Not only does he possess power and pace to stretch defences, but his passing and vision makes him an absolute nightmare to play against. He lures defenders into a trap when he has his back to goal. He feels the pressure, releases the ball quickly and creates space in behind the backline. If defenders do stand-off him, his razor-sharp turns soon set alarm bells ringing. His link-up play with Ozil was hypnotic at times and with a 100% pass completion rate in the ‘attacking third’ of the pitch against Chelsea, he richly deserved his standing ovation when replaced in the 69th minute. 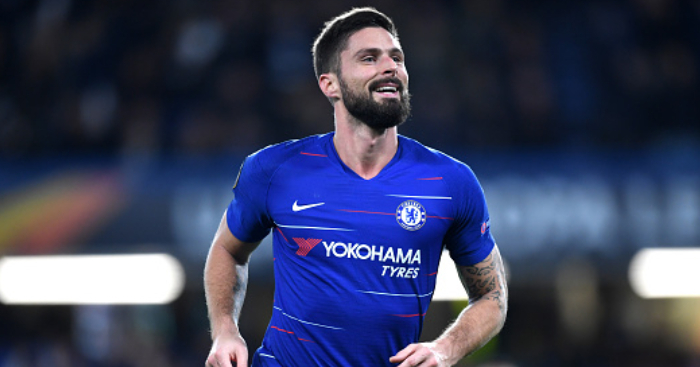 When in this sort of sensational form, Olivier Giroud is going to have to get used to sitting on the bench as there is simply no way the Nigerian can be replaced by Sanchez in his more normal position.